In the subculture of Seventh-day Adventism, most of the churches have a weekly Sabbath-afternoon potluck when every family brings a dish and fellowships together. There are a couple of entrees that are unique to Adventists. One of those common dishes is the Kellogg’s Loaf. The main ingredients are cereal, cottage cheese, and eggs. Non-Adventists reading this might be thinking, “What?! Cereal should only be eaten with milk, not with eggs!” You’d be surprised how great this tastes. Best of all, it’s vegetarian! Place in a generously greased baking pan. It should be 1″-3″ deep. Do not pack. In fact, use a fork to make it fluffy. This entry was posted on Sunday, March 5th, 2006 at 2:35 pm	and is filed under Cooking, Food and Drinks, Recipes, Uncategorized. You can follow any responses to this entry through the RSS 2.0 feed. You can leave a response, or trackback from your own site. As a life long vegetarian and professional Home Economist I found your Special K recipe “interesting”! Being one who likes to eliminate as many dishes as possible, I make mine in my wok, which allows me to saute and then mix the ingredients in one container. I mix in the first half of cereal, let it sit for about 10 minutes, then add the remainder. I jump start baking by heating the loaf in the microwave before placing in the oven. This cuts down on baking time. Use ground nuts and cottage cheese in place of the ground meat, pound for pound and use seasonings (see note below*). Then use your favorite meat loaf recipe. Replace bread crumbs with Special K.
I cook mine in a glass loaf pan that has been lined with parchment paper, I do pack my mixture, so it can be turned out meat loaf style on a plater. One needs to let the loaf rest for about 10 minutes after removing it from the oven before you do this. I will bookmark your site to read from time to time! It is very important that vegetarians get Vitamin B-12. Without B-12 the nervous system breaks down and “Parkinsons like” symptoms occur, this is PERMANENT neuological damage. B-12 Dose NOT occur naturally in plants, only in animal products. Milk and eggs do have some but not enough in present in a HEALTHY serving. Supplements are available and are effective but you can also get a full serving OF B-12 in JUST A CUP OF SPECIAL K cereal. So I’d encourage people to use Special K for this reason. Thanks. i use for this recipe. Mix well, grease pan and bake 45-1 hour on 350 degrees. yum! I added cherry tomatoes curry paste and weetabix to this it worked very wel. This use to be one of my favorite dishes to eat when I was an adventist for almost 30 years. I haven’t had the dish in over 12 years now and I miss it . Its a great and simple dish that I can cook for the wife and friends . I was online looking for a special K recipe and came across your site. I was very excited because I am an SDA and was happily suprised that our good old SDA food is quite famous! I can’t wait to try out your recipe. Thank you. I am going to try this recipe today for my family, I am SDA and I love this dish, i am glad i ran across this website have a wonderful day. I made this for lunch at an sda school. They loved it. Thanks so much. I am so glad that I found this online. Editing note: it should be 2 STALKS of celery, not stocks! My dish is in the oven, hope it tastes as good as it sounds. thanks for the correction! Hope everything worked out! Thank you for the posting, I was raised SDA (not any longer) but cook both vegetarian and non-vegetarian now. Does anyone have the recipe for Icelantic Patties? It is something that they used to serve at potluck while I was growing up. I have two of the SDA Apple cookbooks but it isn’t in them. then simply combine ingredients in loaf pan or casserol dish at 350 for 40 min. Mmmm!! Cottage Cheese Loaf!!!! My favorite! I’m SDA, but I do eat meat. But there is just nothing like this stuff! SO GOOD! Now I’m gonna have to go make some, I’m starving! I am SDA, non-vegetarian and have been looking for this receipe. Googling cottage cheese loaf got me nowhere, then from a distant childhood memory of making this, I thought aha! Special K, sure enough here it is, I didn’t even type SDA! Keep up the good health and Adventist pro health message. Due to the fact that there are animals that are sickly, do you have a cottage cheese replacement recipe please (vegan). Sprinkle 1/2 tsp. of the salt on the mashed tofu in a medium bowl. In the food processor mix the silken tofu, remaining salt, sugar and lemon juice until VERY smooth. Scoop into the bowl with the mashed tofu and mix gently. Refrigerate. Yield: 2 and 1/2 c.
Good luck and I hope it turns out for you. Special K loaf is so good. My daughter was just asking me to make some for her. I am an SDA and I hadn’t really thought about how we have a few of our “own” dishes - except Hay Stacks which is always a favorite and not known outside of SDA circles. Mine is in the oven now!! I had not thought of this is years….and had lost the recipe. Wonderful!! Have not tried that particular one, but it is close enough that it should work. I use 5 eggs,melt a stick of butter. 1 reg cottage cheese or 1/2 of a costco size container. small onion diced small. 7 oz special k (its worth it) and season with chicken seasoning with out the real stock. Butter the 9×13 dish. Oil recks the texture. My meat eaters love this dish. Well, i made the recipie as listed above, ( the first recipie) and tried to substitue the tofu straight across for cottage cheese! Did not work. Then I found the vegan recipe on the bottom. should have tried that first. cooking for a group of thirty next week, vegan dishies, and was hopeing to make this one. Will have to try the vegan recipe, hope it works! I would like to be able to print the recipes with out using all the ink printing pictures and other unwanted stuff. Marian, if you will send me an email at cholministries @ aol.com (without the spaces), I will forward you a copy of the recipe. I copied it from the website, but I realize some people don’t know how to copy and paste, so if it would be easier, just shoot me that email and I’ll help you out. Be sure and put Special K Loaf on the Subject line so it doesn’t accidentally get deleted. I\’ve been eating Special K Loaf since I was a little girl. I\’ve revised my mother\’s recipe a little. I use a can of Campbell\’s mushroom soup, a pkg of Liption onion soup mix, egg, cottage cheese, onion, stick of melted butter mixed with a small can of evaporated milk and of course a box of Special K cereal. It is the best ever! And yes Haystacks is definitely an Adventist thing-I love it!! No one ever says if the special K is crushed or left whole…it makes a difference in quanity! After 45 - 60 minutes in the Oven I put a thin layer of ketchup, sprinkle over a sparse layer of brown sugar and then Top with Slices of Stripples. Cook till the Stripples are nice and crispy. It adds an excellent dimension to the loaf. For Rebecca: Leave the Special K Left Whole. You want to mix the ingredients carefully so you do not crush them to sand. (1) Do you cover the loaf initially? (2) Can you add more liquid if required? I thought that mine was a bit drying after mixing. mix, and cook at 350 for about 45 minutes. No need to add any of the broth, or celery….its wonderful this way! Thanks for posting this recipe. I bought a new stone casserole dish and I can\’t wait to try this. It\’s fun to read all the variations too. My husband grew up SDA and for Christmas Eve, we always ate Special K Loaf and Baked Zita, especially when his Mom was alive. I hae tried various ways since not being able to find Washington or MBT seasoning. Knorr Vegetable soup mix is the best. I did buy a concentrated vegetable broth, that I am going to try for tonights dinner. I have to make 4x the usual amount for 11 people as our family goes wild for it. I\’m so glad I found this recipe. I am SDA, but my mom never made this dish. I always had it at school (academy) or at a potluck. I can\’t wait to try one of the many variations. It\’s interesting to read the differences. Oh, and yes Haystacks are definately the best! Non-SDA\’s know it more as taco salad, but haystacks are still better! My mom used to make this when we were growing up. The whole church went crazy over it. I am thinking maybe I should make it for a potluck and surprise everyone since no one has eaten it in years since my mom passed away. Thanks for posting the recipes everyone! I was a student at Thunderbird Academy in Scottsdale, AZ in the late 60\’s, early 70\’s and they had the BEST cottage cheese loaf that I had ever eaten. I can\’t wait to try this one. There was also a cashew loaf, not sure what was in it, but I remember I liked that one too. Any recipes for that? I\’m glad I found this website and will put it in my favorites. This is by far one of the easiest and most satisfying recipes for a family of both vegetarians and meat eaters. It is a dish that I have found both like equally, many thanks for posting all of the variations of this recipe, I can\\\’t wait to try them out. Mesa, Az. Over the years I lost the recipe Cashew Nut Loaf using Special K. I googled Special K recipes and this website popped up on the first page. Glad to find it. I\’ll make two - one for me and one for potluck. Just substitute the nuts to change it. Can I make the mixture the night before, refridgerate it, and then bake it the next day? Or do I have to do it all at once? Yes, you can make it in advance and bake it the next day. Sometimes I make it on Friday and then put it in the oven on Sabbath morning before church with the delayed start feature on my oven. It smells SOOOO good when we get home from church. Anyone know if using the tofu cottage cheese worked? I would love to make this recipe, but I do not use eggs. What substitute can I use? You can vary the recipe greatly and it usually turns out great. I use onion powder instead of onion because of picky children. I usually use corn flakes. I have tried with tofu as well. I prefer cottage cheese but tofu will work. I usually cover mine for 45 min then uncover for 30. And stoneware pans are the best for crunchy casserole. I used to have to call the “older saints” for th recipe. I really wanted this for Sabbath dinner tomorrow and am on my way to the store for the ingredients. I am thankful for SDA networking! Thanks! I will visit here again for SDA tidbits! I really enjoyed that this recipe is online!!! i am very happy about that, and my loaf is in the oven cooking for tomorrow’s sabbath potluck! Thank you so much! I have made this recipe for years and has been a staple for our pot lucks at church. But now I have become vegan and need some great tips on how to vegan-ize this wonderful standard. This is a great site. Thanks! I’ve had many a Cottage Cheese Loaf (some call it: Special K Loaf) through my adult years being SDA. I’m pretty particular on the texture as I was raised eating meat and potatoes and not a fond lover of “mushy” food. The rendition of the Cottage Cheese Loaf has been interesting to say the least! This recipe has been in my husbands family for years and well, sometimes those recipes are the best! I’ll share it here for those who would like to try it. I’m working on a cook book and this recipe will be in it. Enjoy! Melt your butter in a skillet and saute your onions. Add to the remaining ingredients above and mix well. Bake in a 9×13 loaf pan sprayed with oil. Bake at 350 degrees for 45-50 min. Test for doneness by inserting a butter knife in the center. If it comes out clean, it’s done. Our family will slice the left over loaf into 1/2″ slices and fry it in a little olive oil and a touch of butter the next morning for breakfast! i was raised adventist and still am.i grew up eating special k loaf made many many different ways but they were all good!i\’ve just tried making mine with bran flakes because thats the only kind i had. i hope it\’s as good! To Nola: this may come late but you can substitute flax seed in place of the eggs, it works great! 1 tbsp of ground flaxseed (you can grind in blender until powderish) + 3 tbsp of water, whiz in the blender together until gets kind of thickish like an egg, and then put in whatever you are making. So much better for you than eggs too! Googled this for my sister. Will have to try it and veganize it. I don\’t do eggs or cottage cheese for that matter. I am SDA and NEVER ran into this dish so I wonder if it was predominantly a regional thing. I didn’t know how to submit a recipe on your website. Here is my version of the Special K Loaf. Sauté onion in oil until tender. Add remaining ingredients in order given and mix thoroughly. Bake in an 8 or 9-inch square pan sprayed with Pam for 1 hour at 350º. Serve with mushroom soup which has been diluted with water and seasoned with soy sauce or your favorite brown gravy. NOTE: This recipe may be doubled and baked in a 9 x 13-inch pan. I am a non-SDA but my boyfriend was raised a vegetarian SDA and cottage cheese loaf is all he has been talking about for 5 years. I figured I would surprise him and make it as a side for Thanksgiving. Thanks for the recipe, can’t wait to try it. My ex in-laws are SDA and we have this for every Holiday. We have an official SDA cookbook, which does not call for celery, milk, soy, or garlic. I use the Washingtons Broth because I am lucky enough to have a store right by my house that carries it. It is brown so it adds to the color (which is probably why the soy sauce is added here), so its nots pale. I also use Purple onions, because the color is festive, neve have sauted them either, they come out soft. My son is a picky eater and will eat his weight in Special K loaf. There is nothing better than a left over special k sandwich on rye bread too. Our recipe also calls for 45 mins covered adn 30 mins uncovered, this makes nice crust on top and along edges. Thanks everyone this was really fun to read. The variations are fascinating. “Haystacks” is a delicious, fast, and easy dish that many SDAs prepare for potluck-type get-togethers. It may be dish unique to specific Adventist sub-cultures, I don’t know. Or people may call it something else in different parts of the world. Basically, it’s layers of taco components which typically go like this from bottom to top: fritos, stewed beans, cheese, lettuce, tomatoes, olives/onions/guacomole/sour creame/salsa/etc. Try it sometime and tell us how it and the loaf turns out for u! Thanks for visiting! I make a vegan version of this…I use a vegan ricotta style filling. I grew up SDA and have been looking for a good cottage cheese loaf recipe after not having it for at least 10 years! A note to Shirley…haystacks are awesome and one of my 7 year old son’s favorite meals! I still make them a couple of times per month and they are easy and good leftovers. However, you have to cook your beans right…I soak mine the night before and cook them all day over low to medium (you will have to continue to add water to keep beans hydrated). In the morning, I add a BUNCH of chili powder, chopped onion and green pepper (2:1 ratio, depending on how many beans you are cooking), and salt, garlic, cumin, and coriander to taste. I am a lover of all kinds of meats and LOVE haystacks…they are so very satisfying! Hi, I’ve been making this for years with my mom when I was a kid and now for my husband. This freezes wonderfully. Make 2 recipies and throw one in the freezer before baking. It’ll keep for at least a month (I don’t actually about longer because we eat it too soon). I have some in my freezer right now. For those trying this for the first time, it is not a picky dish. If it looks dry add some more liquid. If it looks wet add more special k. If you really like onions add a bit more, etc. Have fun, there is probably as many variations on this as there are SDAs. Thanks for the recipe. I miss Ouida Turner’s Cottage Cheese loaf at potluck. Didn’t know what was in it, but I’ll figure it out as I go. I grew up with them in the Edinburg SDA Church. She made the absolute BEST Cottage Cheese loaf recipe. Her husband Ray baptized me. South TX isn’t the same without them. They moved to Possum Kingdom a long time ago. During the last year I saw them appear on the cover of “The Record” (Southwestern Adventist Conference). God bless them and their family wherever they are. Mix and use in place of cottage cheese. Quick and easy. Control creaminess by using more or less Vegenaise. O no.! This was supposed to be my dad’s secret recipe. I grew up SDA and this was our sabbath meal. If he saw this website he would be mad that his “secret” has been out. Been making this for 25 years. Love it. Except my recipe calls for basil and 5 packages of GW seasoning. I have added chopped spinich or grated zuchinni to health it up. Never use Ricotta. I made that mistake once. Haystacks are usually topped with a spaghetti sauce. We use Hunts Garlic Herb sauce in a can. I was so excited to find this recipe! I am always missing SDA food, and don’t live anywhere near an SDA grocery. Everytime we drive through Oshawa I make my boyfriend stop at the ABC and stock up on Prosage, Stripples, and FriChik. But when I’m having a nostalgic craving for sevvie food, I can always make a batch of this, and he LOVES it! I don’t add the milk, and I cover it for half an hour and then uncover it for 45 mins, and I sprinkle grated cheddar on the top…. A friend of mine who is SDA put string green beans in hers. Loved it!!! I use walnuts in place of pecans, as they are easier to find, & we enjoy the flavor more.Also, I omit the celery, which never seems to be the right texture. I made sandwiches from cold sliced loaf for a friend & could not convince her that there is no meat in here! Really, it is that much like a meat loaf. So glad to find this recipe I’d forgotten that it was made with Special k so never connected with recipe until now. Can’t wait to eat it today!! What started as looking for a recipe for mushroom loaf. landed me here. I went to Grand ledge Academy in michigan in the 60’s and the cafeteria had a mushroom loaf that was really good. It had a bread base (similar to stuffing) and was loaded with mushrooms/ Mr Soper was the cook, he probably has passed, but may be someone has a recipe who is familiar with SDA’s and veggie food. Regarding using the famous health expert, Kellogg’s cereal brand, I personally would not recommend it. If Kellogg was alive today he probably would not approve of the high fructose corn syrup used in the product today. I have used Rice Chex cereal instead, which is devoid of high fructose corn syrup, with just as much success and I can say that it is a healthier version and very tasty. First I must agree with Elizabeth when I read the ingredients of Special K and saw High Fructose corn syrup, I immediately looked for a substitute. What I used was Health Valley Rice Crunch-Ems. I found this page since I could not find my mum’s recipe. I googled “Adventist Cottage Cheese loaf” and this was the first listing. I wanted to surprise my dad on his B-day and make him some as he had not had any in about 10 years. After looking at all the recipes this is what I came up with, I will also share an interesting variation I made last night. 2 cups small curd cottage cheese. Saute chopped shallot, crushed garlic, then add chopped celery, chopped mushrooms and bullion cube. cook until tender. Mix remaining ingredients, I used a food processor to do this. mix cottage cheese, eggs, milk, sautéed veggies first then add nuts and rice cereal last. It should be a nice stiff but fluffy mixture. Put in a casserole dish and bake for 1 1/2 hrs. If you use a convection oven you can shave off about 15 minutes. This was a big hit. After we finished eating I saw my dad sneak into the kitchen and found him eating the leftover loaf straight from the casserole dish. Last night I made cottage cheese loaf enchiladas. After the first recipe I discovered the walnuts upset my wife’s stomach, so I substituted mixed nuts (no peanuts, just cashews, brazil nuts, pecans, almonds) instead. take the uncooked cottage cheese loaf (CCL) mixture and fill corn tortillas heated in olive oil. Wrap the CCL mixture with the tortilla olive oil side out. place in a shallow glass baking dish. Bake for about 45 minutes. this will crisp up the outside of the tortillas. I then added a 20 can of Las Palmas green enchilada sauce, and about 4 to 6 oz of grated cheese. cook for another half an hour or until the cheese is golden. you can add hot peppers to the mixture for taste that’s up to you. Not to blow my own horn but these were by far the best vegetarian enchiladas I’ve ever had. Thanks for this page I hope that my contribution will please many taste buds. sautee all until veggies are soft (don’t use olive oil it doesn’t work as well to bind the remaining ingredients below). Let cool. Haystacks are like a Taco Salad. We use Tortila chips on the bottom, we top that with homemade vegetarian chili (you can use Chili Man Vegetarian chile or just chili beans). You then just add your favorite toppings, Cheese, chopped onions, lettuse, black olives, chopped tomatoes, sour cream and on the top Taco sauce or salsa. You choose what you want on it and build it how ever you want. Start small it can get very big by the time you have all your favorite toppings added. I grew up SDA and have been a lifelong vegetarina (56 years). This has always been my favorite recipe and I’ll be making this for thanksgiving. A couple things I’d like to point out is that you can’t screw this recipe up. It’s good no matter what (as long as you bake it the right amount of time!). Also, it tastes even better the 2nd day. So, don’t hesitate to make it the day before you eat it - just heat it up. 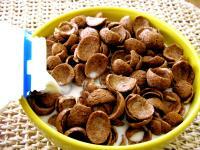 Can I use regular kellogs cornflakes instead of special k? No Cornflakes will not work correctly you needs to use a crisp rice product. This Thanksgiving I made some using left over stuffing bread. It just wasn’t the same. So use any crisp rice product that does not have High-fructose corn syrup. That pretty much eliminates Kelloge’s. It is important to remember that one of the huge benefits of Special K is the B-12 vitamins in it. It doesn’t get soggy on you either. It has ALL the B-12 your body needs. Normally your body gets B12 from meat, and vegetarians don’t eat meat. Hello! :)The nervous system of our body is our electrical system (like in a car’s electrical wiring). Our nerves are coated with a protective insulation - AND, you guessed it, the coating is made up of B12. If you don’t have enough, just like an bad electric wire, you will short circuit. LOL - Seriously. You can either eat Special K, or you can get it in shots or meat. A shortage of B12 in your diet will eventually produce Parkinson’s like symptons and/or result in a diagnosis of PERNICIOUS ANEMIA(mimicking ALZHEIMERS). ALZHEIMERS is usually the common misdiagnosis of PERNICIOUS ANEMIA in elderly people due to poor diet or lack of meat/B12. Being brought up an Adventist Preachers son, I had the opportunity to sample many vegetarian dishes at after church potlucks. Many of these were just wonderful and flavorful, but some were not. The really tasty dishes were made by the older ladies of the church who had many years of cooking and spicing food behind them. My mother taught me well when it comes to spicing and preparing food. Many times new church members would fall in love with the new vegetarian cuisine served at these potluck dinners only to discover that the main ingredients (Loma Linda, Worthington, can or dry, meat free products) tasted awful without a little love and spice added in the Kitchen. Vegetarian foods have made great strides since the 70s when I was an Adventist. In addition to the 2 companies named there are many more that make vegetarian food now. Just use a little common sense and you can convert many of your favorite meat dishes into meatless ones. They may not be perfect the first time but the cooking is half the fun, isn’t it? I don’t want to get off track here, but i noticed some statements that were made in the comments regarding Vitamin B12. Just some info for consideration. Use the cereal of your choice in this recipe. Of course they may use their choice of cereal. B12 is depleted by high stress conditions and poor diets. Even if it takes people years to deplete their B12 in their bodies, Pernicious anemia is becoming a common diagnosis that usually precedes the Alzheimers diagnosis. It’s your choice, empty carbs or a healthier option. It won’t matter unless you are the one who is deficient in B12. Then, it will matter alot. My boyfriend said this was his favorite recipe “back in the day” and he hasn’t had any in YEARS. He asked if I could make it and I said, “I don’t cook.” But of course I do and I am so grateful to find this recipe. I am going to surprise him this weekend. I’ve never made it before, so it’s nice to hear so many people like it. B12 is very important and it is best to get it from better much better source than overly processed cereal. Nutritional yeast is a wonderful way to get B12 if one is vegan, if a person is considered vegetarian- more than likely they will not be a significant risk for being deficient b/c some still eat animal by-products (eggs,cheese,milk- since these animals probably ingested the microbes that processes b12 or were fortified). Or a multivitamin is another way. Anyway, just had some special K loaf today, very good! Does anyone have another site with other old SDA favorite recipes? This is by far one of the best SDA foods ever! (On top of popcorn with flake yeast on it and McCormicks’s chicken seasoning.) I’m making this for lunch today! So excited to see this on the internet! Have made Special K loaf for 45 years and it still is a favorite especially for Thanksgiving. I use Special K original but crush it a bit. I remains our family favorite. Also make haystacks for my Grandchildren its a special treat. I made a Special K Loaf last night for dinner (I always use 2 cups of chopped pecans). I was first introduced to this recipe in 1990, the year I was baptized and became a member of the Seventh-day Adventist Church. The pastor’s wife made this dish, along with the absolutely fabulous “man trap” dessert (otherwise known as a torte). I’ve enjoyed the delicious vegetarian delights over the years. I didn’t have the requisite about of Special K, so I substituted a combination of cornflakes, corn Chex and oatmeal. The corn Chex looked strange, but the Cottage Cheese Loaf still tasted wonderful! You have people stack them up in the order they want it on a STURDY plate. You can put anything else you can think of on the table also. Every body stacks it a little different, none are wrong. I substituted the onions on the first recipe above with LEEKS. I boiled them a little (before they get mushy) and then sautéed them with celery and garlic but in OLIVE OIL in lieu of butter. Certain onions get a little sweet when they are cooked until translucent, but the leeks never do. I found the original recipe a bit too sweet. Leeks have that always onion taste. I’ve tried it with both Special K and Rice Krispies. The Rice Kristpies is just a bit tastier, but the Special K is not bad in any way. I was raised SDA, and this is still by far one of my favorite vegetarian dishes. I have made many a meat eater a fan of Special K loaf, and I even get requests from my carnivore friends and family to make it for them for special occasions. It is true that it is VERY hard to screw this up. My mother’s recipe is very similar to the ones above, but she uses Durkee’s French Fried Onions instead of regular onions, and I would encourage others to try this b/c it helps to hold everything together. So glad to find the recipe online! SDA Style - Be a Bree”. Will you mind in the event I reallywork with several of your own points? Thanks for the old memories of SDA recipes we all loved and cherished usually as memories of our baptism or maybe potlucks. One of my favorites is in the 1st Apples A Day cookbook for “CheeseNut Pattie’s with Spanish Sauce”. Remember those? work and exposure! Keep up the amazing works guys I’ve included you guys to blogroll. Its sad to see the spammers are starting to abuse this site.